Medicare is complicated. Here's an outline of how it works. When you reach 65, the health insurance landscape changes. You become eligible for Medicare, the U.S. federal health insurance program for people age 65 and older. Most people will want to apply for Medicare a few months prior to reaching age 65. Medicare has four parts, Parts A, B, C and D. Each part covers different items. Overall Medicare does not cover all your health care expenses, so most retirees will want additional coverage in the form of a Medicare Supplement policy or Medicare Advantage plan, as well as some form of long-term care insurance. Medicare coverage starts with Parts A and B. Part A is referred to as hospital insurance. This is free for most people. Part B is referred to as medical insurance. It covers additional services and supplies needed to treat medical conditions as well as some preventative services. You pay a monthly premium for Part B.
Medicare Parts A and B comprise what is referred to as Original Medicare. Expect Original Medicare to cover about 50% of your total health care expenses; primarily medically necessary services and preventative services. To find out if a service is covered you can use the "is my test, item or service covered" feature on the Medicare website. With Original Medicare, as with most other insurance plans, you still have deductibles, co-pays, and coinsurance expenses as well as prescription costs. That’s where Medicare Parts C and D come in—offering additional coverage you can purchase. Part C is called a Medicare Advantage Plan, or Medicare Health Plan. It is private insurance that provides coverage in a single plan that includes Medicare Parts A and B, and may also include prescription drug coverage (Part D). Medicare Advantage plans may also include extra covered services like vision, dental, and hearing. These plans may cost less than other options if you do not have frequent medical needs. Part D refers to prescription drug coverage that you can add to your basic Medicare Part A and B benefits. When enrolling in Medicare you will have to decide if you want Original Medicare or a Medicare Advantage Plan. Your location, budget, amount of travel you do, and care providers will all need to be considered when making this decision. How much does it cost to enroll in Medicare? Medicare Part A - Most people don’t have to pay a monthly premium for Medicare Part A because they or a spouse paid Medicare taxes while working in the United States, and have 40 or more quarters of Medicare-covered employment. If you don’t automatically get premium-free Part A, you may still be able to enroll, and pay a premium. For 2016 the Part A premium is $411 per month for people who are not otherwise eligible for premium-free hospital insurance and have less than 30 quarters of Medicare-covered employment. Medicare Part B - For those enrolling in Medicare in 2016, you will pay the standard Medicare Part B premium of $121.80 per month unless your modified adjusted gross income is greater than $85,000 for single filers/$170,000 for joint filers. Medicare Part B and D premiums are means-tested so if your income exceeds these amounts you will pay a higher premium. Medicare Part C - Premiums for Medicare Advantage Plans vary. You can use Medicare's online plan finder tool to search your location and see estimated premiums and benefits. 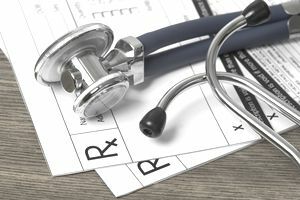 Medicare Supplement Policies - If you go with Original Medicare it is likely you will want to purchase a Medicare Supplement policy, sometimes called "Medigap" policies. Premiums vary depending on the plan you choose.